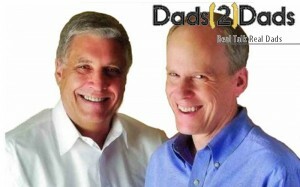 Dads2Dads: Are love's labors lost on teens? It's a time when we get all soft and buy a card or candy or flowers (sometimes all three) to show someone how much we like/love them. It’s a great day for lovers. But it’s a good opportunity to also express our feelings to our family. We’ve talked before about how we as dads don’t tell our teens enough that we love them and how we should do it more. It’s free, it’s needed, and it’s highly effective. There doesn’t have to be a particular reason, and your teen needn’t have done anything earth-shattering. Valentine’s Day gives us the OK to say, "I love you." On Valentine’s Day, it’s approved. Some fathers and teens have a pretty good way of talking to each other. For some, it’s a hard sell. If you struggle in conversation with your teen, plan your time together around some event like making breakfast, going to a movie, reading a story aloud, going to the gym, eating lunch or getting a cup of coffee. Plan to do something together—just you and your teen. It could be a meal at a restaurant or fixing dinner together at home. It might involve a trip to the public library. You could make homemade valentines together to give to children, or go to a local museum, take in a sporting event, get tickets to a play. The important thing is not what you do but that you do something to show your love. Take this tradition of romance and translate it into an opportunity to re-engage with your teen. Love is the dynamic that solidifies the family. Now is the time to show it. Love is patient, love is kind. It does not envy, it does not boast, it is not proud. It is not rude, it is not self-seeking, it is not easily angered, it keeps no record of wrongs. Love does not delight in evil but rejoices with the truth. It always protects, always trusts, always hopes, always perseveres. Love never fails. 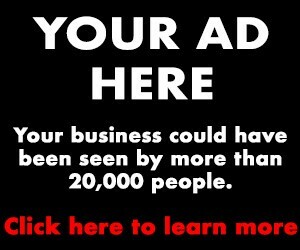 Try it out and let us know how it works. After all, what do we need more of in the world today than love? As Shakespeare wrote, "Love lives not alone immured in the brain but with the motion of all elements, courses as swift as thought in every power, and gives to every power a double power, above their functions and their offices."